The Indianapolis 500 is an automobile race held annually at the Indianapolis Motor Speedway in Speedway, Indiana and is contested over the Memorial Day weekend in late May. Affectionately known as “The Greatest Spectacle in Racing”, the Indianapolis 500 is part of the Triple Crown of Motorsport, which also includes the Monaco Grand Prix and the 24 Hours of Le Mans. Yearly attendances reaches upwards of 300,000 and the event is steeped in tradition, most notably the victory lane bottle of milk. The first Indianapolis 500 was held in 1911 and was won by Ray Harroun driving the Marmon Wasp and has been held annually since, except during WW1 and WW2. Over the course of 101 races, 71 drivers have been crowned champions of the 500-mile race, and the most race victories held by a single drive is 4 – accomplished only be A.J. Foyt, Al Unser, and Rick Mears. 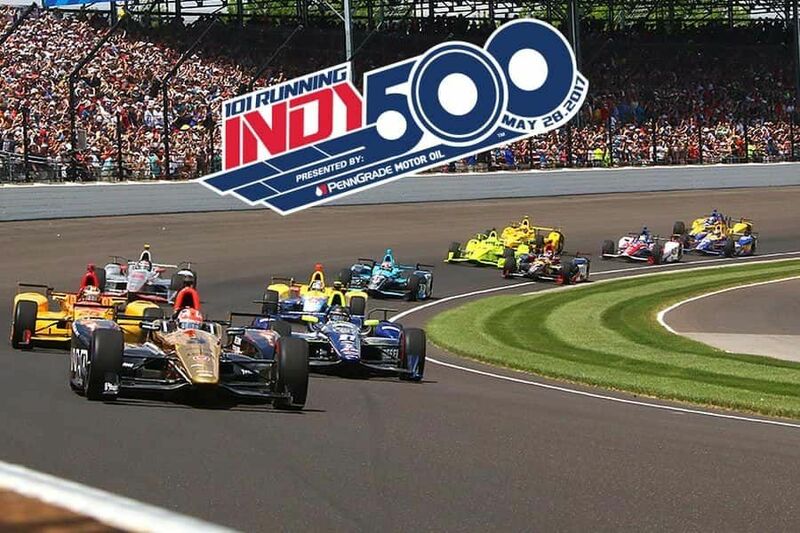 This year’s Indianapolis 500 will see 33 drivers compete over 200 miles to complete the 102nd running of the 500 mile race and while the official race only takes place on Sunday 27th May, the month of May sees plenty of thrilling events to enjoy. Practise and qualifying kicks off on Friday 11th May, with the IndyCar Grand Prix on Saturday 12th May, practise from Wednesday 16th-Friday 18th May, and the 4 most hotly anticipated events blasting off from 25th May – Miller Lite Carb Day, Legends Day, the Indy 500 Snake Pit, and finally the Indianapolis 500. Carb Day – which still leaves plenty of time to enjoy online blackjack – is generally known as the first day of the official Indianapolis 500 weekend and promises a day packed to capacity with racing and live music. 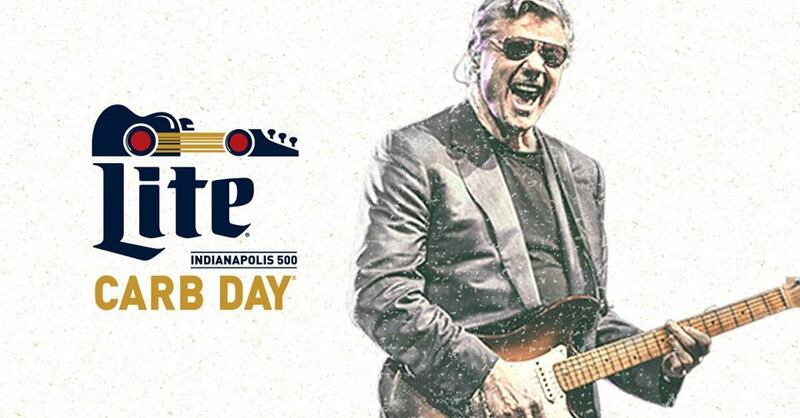 Starting with a Indianapolis 500 practice session, the Indy Lights Freedom 100 Race follows, leading to the Pit Stop Challenge, and to close the day off – the Miller Lite Carb Day Concert which features Train and special guest Blues Traveler this year. The 2nd day of the Indianapolis 500 weekend starts off early with the Indianapolis 500 Full-Field Autograph Session at 9am, the Public Drivers Meeting at 10:30am, and culminates in the Firestone Legends Day Concert at 3:30pm which features country music superstar Sam Hunt with special guests Canaan Smith and Filmore. The Indy 500 Snake Pit Concert, which runs from 7am-2: 30pm on race day Sunday 27th May promises to keep racegoers entertained and in high spirits throughout the day. Widely considered to the best party of the Indianapolis 500, this years Snake Pit Concert features headliners Axwell Λ Ingrosso, Deadmau5, Diplo, and Griz. The Indy 500 Snake Pit concert area also includes a VIP area to make your day even more memorable. This year’s running of the Indianapolis 500 promises to be nothing short of spectacular and this event is definitely not one to be missed! As an event steeped in tradition, make sure to look out for the winner of the race drinking a bottle of milk – an tradition started by Louis Meyer who won the race in 1936 – and the now famous kissing of the yard of brick – which was started by Dale Jarrett in 1996 during the Brickyard 400.